I fell for this book because of the wonderful, lilting use of language and onomatopoiea. 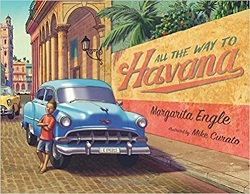 The story is of a boy and his family going for a drive to Havana. and mixed-up scraps of dented metal. The drive into town involves giving rides to neighbors – and a new set of noises. There’s a gorgeous and colorful spread as they come into town, driving on the curved road by the seawall, with many other old cars in all colors on the road along with them. At the party, there fun and food with cousins, and then it’s time to come home again. I love the Author’s Note at the back of the book. It adds depth to what is already such a lovely (for the eyes) and melodious (for the ears) story. Due to a complex historical situation, many of the American cars on the island of Cuba are pre-1959 and so old that parts under the hood have been replaced many times, often with makeshift inventions. Despite more than half a century of poverty and hardship, the Cuban people remain so creative that they manage to keep machines of all sorts running long past the age when wealthier people would discard them. This simple poem about the island’s noisy old cars is intended as an expression of admiration for the everyday ingenuity of poor people everywhere who have to struggle, persevere, create, and invent on a daily basis, never losing hope. Undoubtedly, a boy like the one in this story would dream of modern cars and space-age inventions along with plans to keep his family’s antique car running smoothly. Thomas Dunne Books, 2016. 273 pages. Samir and Miel live in a small town and they are best friends. Sam’s family is from Pakistan. He paints moon lamps and hangs them all over town. He’s a gentle person, and when Miel fell out of the old water tower and seemingly materialized out of water, Sam was the one who calmed her down. He and his mother found a home for Miel with Aracely, who lived next door. Hinting at her mysterious origins, the hem of Miel’s skirt is always wet. Even more mysterious, though, is that she grows roses out of her wrist. After one blooms and falls away, another grows. The color of each depends on what Miel has been thinking about. As you can probably tell, this book is full of magical realism, which isn’t really my thing. I like fantasy with rules of magic that make sense, that seem understandable. This has several wild things going on, which I wasn’t crazy about, although I did enjoy reading the beautiful prose. They’d touched each other every day since they were small. She’d put her palm to his forehead when she thought he had a fever. He’d set tiny gold star stickers on her skin on summer days, and at night had peeled them off, leaving pale constellations on her sun-darkened body. She’d seen the brown of her hand against the brown of his when they were children, and holding hands meant nothing more than that she liked how warm his palm was in the night air, or that he wanted to pull her to see something she had missed. A meteor shower or a vine of double-flower morning glories, so blue they looked dyed. All these things reminded her of his moons, and his moons reminded her of all these things. He’d hung a string of them between her house and his, some as small as her cupped palms, others big enough to fill her arms. They brightened the earth and wild grass. They were tucked into trees, each giving off a ring of light just wide enough to meet the next, so she never walked in the dark. One held a trace of the same gold as those foil star stickers. Another echoed the blue of those morning glories Sam could find even in the dark. Another was the pure, soft white of the frost flowers he showed her on winter mornings, curls of ice that looked like tulips and peonies. The main problem of the book arises when the four Bonner sisters decide they want Miel’s roses, that those roses belong to them. Miel had been offering them to her mother by drowning them in the river. But now Ivy Bonner tells Miel that if she doesn’t give them her roses, they will tell the whole town that Sam’s name is really Samira. Miel knows that Sam has a girl’s body, but she also knows that he is a boy, and his body doesn’t matter. In fact, the book opens with the first time they sleep together. One thing I loved about the book was this dealing with a transgender person as the person he really is. Along with everything else, this book is fundamentally a love story, and a beautiful one. This is the first time I’ve read a love story involving a transgender person, and that aspect of it was beautifully done. The Author’s Note at the back explains why Anna-Marie McLemore can write this so well. She met her own husband and fell in love with him when they were teens – but before he had admitted to himself that he was transgender. 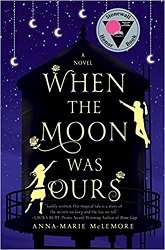 Combined with the questions she had about her own life, it sounds like this book came from a deep place in her heart, her own questions and struggles growing up beautifully expressed in magical realism. This book is about secrets and truth and power. But it’s also a love story about two teens discovering who they really are. Abrams Books for Young Readers, 2016. 124 pages. I heard Linda Barrett Osborne speak at the awards ceremony for the YALSA Excellence in Nonfiction Awards. 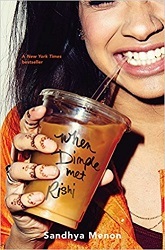 She commented that her book wasn’t as timely when she began writing it in 2013. The facts in the book go up to 2015, but I do hope that her publisher comes out with an updated version before long. Though we may need to see how the next few years go. The history of immigration in America is fascinating. In her talk, the author surprised us with facts such as that Benjamin Franklin didn’t want too many Germans to immigrate, and immigrants from Asia were not allowed to become citizens until 1952. Both of these ways of looking at immigration – openness to all or restrictions for some – are part of our heritage. In the early twenty-first century, we still debate who and how many people should be allowed into our country, and if and when they should be allowed to become citizens. Some Americans think of the United States as multicultural, made stronger by the diversity of different ethnic groups. Others think that there should be one American culture and that it is up to the immigrant to adapt to it. Still others have believed that some immigrant groups are incapable of adapting and should not be permitted to stay. Americans whose families have lived here for some time – whether centuries, decades, or just a few years – often discount their own immigrant heritage. They look down on newcomers from other countries. Indeed, far from inviting Lazarus’s “huddled masses,” our laws, policies, and prejudices have often made it difficult for many immigrants to enter the United States or to find themselves welcome when they are here. This Land Is Our Land explores this country’s attitudes about immigrants, starting from when we were a group of thirteen English colonies. Until the Chinese Exclusion Act of 1882, which kept Chinese workers from immigrating to the United States, there were no major national restrictions on immigration – therefore, there were no illegal immigrants, or what we now call “undocumented aliens”: people from foreign (alien) countries who have no official papers to enter the United States. As they came, settled, and endured, each immigrant group went through a remarkably similar experience. They left their countries to escape poverty, war, starvation, or religious and political persecution – or for economic opportunity. As foreigners who came from different cultures and often spoke languages other than English, they faced prejudice from groups that were already here. They seemed to threaten American customs and values established as early as the 1600s. Often, they were denied jobs and housing. They did the hardest and least well paid work. Yet they saved money and made homes here. Immigrant men brought over their wives and children; immigrant children brought their siblings and parents. Families reunited. Whole communities left their country of birth and regrouped in America. The children and grandchildren of immigrants, born here, spoke English. They absorbed American attitudes and ways of living. They grew in numbers and gained political power. They often acted toward immigrant groups that came after them with the same kind of prejudice and discrimination that their families had encountered when they first moved here. This Land Is Our Land does not attempt to answer all the questions and solve all the problems associated with immigration. Rather, it looks at our history to provide a context for discussion. If we examine the way Americans have responded to immigrants over time – and the responses have been startlingly similar and consistent – we gain an insight into immigration issues today. Why do we sometimes invite immigration and sometimes fear it? How much does race play a part in whether we accept new immigrants? Does the legacy of our country’s origin as a group of English colonies still shape our attitudes? This book also presents the experiences of immigrants who left their home countries to start a new life here. How did their expectations and aspirations match the realities of living in the United States? How was the experience of different groups affected by racial prejudice? How did they eventually succeed, if they did, in becoming Americans? You can see that the author has big ambitions for this book – but I believe she succeeds. Do we treat them as fellow human beings, with respect and compassion – the way we wish our immigrant ancestors had been treated, no matter who they were, no matter which country they left to pursue the American Dream? This book got an award from the Young Adult Library Services Association, and my library has it in the Juvenile Nonfiction section. The target audience seems to be upper elementary and middle school students, perhaps through high school. There are plenty of historical photographs included as well as copies of old documents. The large, wide pages make it seem a little younger – but there is enough information packed onto those pages, even with largish print, that older readers won’t feel talked down to – if they pick the book up. 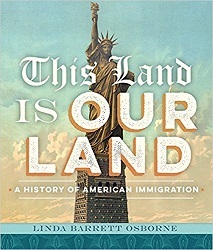 It does seem like a good time to know about the history of immigration in America – this book is a good way to bring yourself up to speed. Our country’s attitudes haven’t changed a whole lot over the years – but it’s good to know that those immigrants we did welcome to our shores over the years are the very people who have helped to make our country great. The Christian faith, at its core, is the gospel announcement that God – the eternal Spirit who created, fills and sustains the universe – has shown us who he is and what he’s like – exactly what he’s like – in the flesh and blood human we sometimes call Emmanuel (‘God with us’). Conversely, we believe Jesus has shown us the face and heart of God through the fullness of his life on earth: revealed through eyewitness accounts of his birth, ministry, death and resurrection. We regard this life as the decisive revelation and act of God in time and space. That’s still a faith statement, but for Christians, it is our starting point. To look at Jesus – especially on the Cross, says I John – is to behold the clearest depiction of the God who is love (I John 4:8). I’ve come to believe that Jesus alone is perfect theology. Further, we’ll see that we surrender to God’s reign, cooperate with the Spirit’s grace, and receive Christ’s salvation in the same way: by consent and participation. 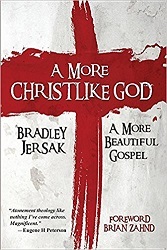 The fullness of God’s saving comes as God participates fully in the human condition – from birth to death – and consents to enduring temptations, trials and even the extreme humiliation of crucifixion. The fullness of our salvation comes as we participate in Christ’s death and as we fully consent – cooperate and surrender – to his grace. No! Rather than control and coerce, God-in-Christ cares and consents to suffer with and for us. We don’t concede to the false image of a ‘lame duck’ dad who sits by silently, watching his kids getting beaten by the bully. Instead, we look to the true image of the cruciform – Christ himself – the One who heard our groans and came down to suffer and die with us in order to overcome affliction, defeat death and raise us up to live and reign with him. Gallery Books, 2017. 309 pages. Here’s a nice romance for adults, with interesting story, setting, and characters to go along with the romance. 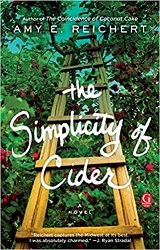 Sanna Lund has inherited a gift for making cider – she sees the juices of their family’s different apple varieties in different colors. She can mix them by color and know how the finished product will taste. They’ve owned the orchard for generations, but now it’s down to her and her father. They’re going to try to sell Sanna’s cider in larger batches. But they hit financial snags – and then Sanna’s father gets injured. They have to hire help even in the off-season, but that still may not be enough to pay bills. The help they hire is Isaac and his 10-year-old son Sebastian (Bass). Isaac is trying to give Bass one last summer to be a kid before he tells him the bad news about Bass’s mother. Sanna gets off to a prickly start with Bass, but Isaac may be exactly what their orchard needs. Meanwhile, Sanna’s brother is urging them to sell to a developer and someone’s harming the heirloom trees that Sanna loves. Now, the evil developer plot line sometimes veered toward melodrama, but mostly things stayed interesting and realistic. I liked that Sanna is 6 feet 3 inches and as distinctive as that implies. I had to mentally adjust to her point of view in several scenes! All the characters are richly drawn. The author blurb says she “likes to write stories that end well with characters you’d invite to dinner.” That sums up her books rather well – except that I would be sure her characters were the ones cooking the dinner! This is a thoroughly enjoyable story, and I feel like I have indeed had dinner in the friendly company of these characters. Katherine Tegen Books, 2016. 382 pages. Perry Cook has grown up in prison at Blue River Co-ed Correctional Facility in Surprise, Nebraska. His mother is a resident, and Perry was born shortly after she came to the minimum security prison twelve years ago. Warden Daugherty is officially Perry’s foster parent, and Perry has his own room next to the warden’s office. Perry goes to school in Butler County, and as the book starts, he’s getting ready to start middle school. He met his best friend, Zoey Samuels, when she moved there in the middle of fourth grade. Zoey moved to the area because of her stepdad’s job. The description of the stepdad rang true – always trying too hard with her and coming across like a big fake. But then Zoey’s stepdad Tom VanLeer finds out about Perry. And Tom is the new district attorney. A boy living at a prison? He’s outraged. Without telling Zoey, he decides to Do the Right Thing and take Perry into his own home. What’s more, Warden Daugherty gets suspended, and Perry’s mother’s parole hearing gets postponed. Tom also tries too hard with Perry. Tom thinks he’s saving him from a horrible life growing up in prison. Perry only knows that he’s been forced to leave his mom and his home. Then their English teacher assigns the students a project to find out why their family came to Butler County. Perry decides to learn the stories of his Blue River family, including his mother’s full story. I didn’t expect to even like this book much, but I loved it. Maybe it stretches plausibility just a tad, and things do tie up pretty neatly in the end – but the characters are so well-drawn, they’re a delight to spend time with, especially including Perry’s family at Blue River. 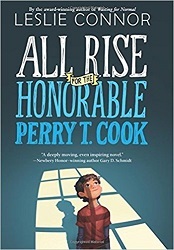 And while the overall situation of a boy growing up in prison may be a little hard to believe – if you accept the premise, it’s easy to believe this is how things would work out, including the residents and their quirky personalities, the comments Perry gets from kids at school, and the reaction of the self-righteous district attorney. 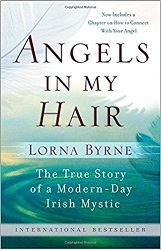 Most of the book is told from Perry’s perspective, with chapters here and there from his mother’s perspective. Personally, I think the book could do without his mother’s chapters – but they don’t harm the book. I just don’t think they’re necessarily needed. You can figure out how she feels about all of this. Perry’s a great person to spend time with. As he learns the stories of the residents, the reader gets a chance to feel some empathy as well and see how easily lives can go off-course. But the big question: Can Perry do anything to help his mother get parole? This story is filled with hope, compassion, love, and understanding. We see Perry get understandably angry with district attorney VanLeer – and figure out a way to rise above his anger. We see the power of learning people’s stories, even someone like VanLeer. Coffee House Press, Minneapolis, 2017. 119 pages. This little book is not pretentious, calling itself an “essay” rather than a “book” – but it packs a punch. I was expecting forty short chapters. Instead there are four chapters of varying lengths. 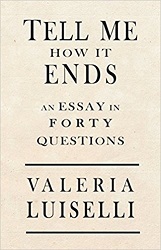 The questions of the title refer to the forty questions on the intake questionnaire for unaccompanied child migrants used in the federal immigration court in New York City where the author began working as a volunteer interpreter in 2015. My task there is a simple one: I interview children in court, following the intake questionnaire, and then translate their stories from Spanish to English. But nothing is ever that simple. I hear words, spoken in the mouths of children, threaded in complex narratives. They are delivered with hesitance, sometimes distrust, always with fear. I have to transform them into written words, succinct sentences, and barren terms. The children’s stories are always shuffled, stuttered, always shattered beyond the repair of a narrative order. The problem with trying to tell their story is that it has no beginning, no middle, and no end. I find I don’t have the heart to quote excerpts from the stories in this book from the children the author met. I’m left speechless. This book is eye-opening. One of the stories is that of a teenage boy who found the same gang he was fleeing in Tegucigalpa was active in Hempstead, New York. Members of the gang beat him up in Hempstead, and another gang offers him protection if he’ll join them. He’s resisting. Between Hempstead and Tegucigalpa there is a long chain of causes and effects. Both cities can be drawn on the same map: the map of violence related to drug trafficking. This fact is ignored, however, by almost all of the official reports. The media wouldn’t put Hempstead, a city in New York, on the same plane as one in Honduras. What a scandal! Official accounts in the United States – what circulates in the newspaper or on the radio, the message from Washington, and public opinion in general – almost always locate the dividing line between “civilization” and “barbarity” just below the Rio Grande…. The attitude in the United States toward child migrants is not always blatantly negative, but generally speaking, it is based on a kind of misunderstanding or voluntary ignorance. Debate around the matter has persistently and cynically overlooked the causes of the exodus. When causes are discussed, the general consensus and underlying assumption seem to be that the origins are circumscribed to “sending” countries and their many local problems. No one suggests that the causes are deeply embedded in our shared hemispheric history and are therefore not some distant problem in a foreign country that no one can locate on a map, but in fact a transnational problem that includes the United States – not as a distant observer or passive victim that must now deal with thousands of unwanted children arriving at the southern border, but rather as an active historical participant in the circumstances that generated that problem. The belief that the migration of all of those children is “their” (the southern barbarians’) problem is often so deeply ingrained that “we” (the northern civilization) feel exempt from offering any solution. The devastation of the social fabric in Honduras, El Salvador, Guatemala, and other countries is often thought of as a Central American “gang violence” problem that must be kept on the far side of the border. There is little said, for example, of arms being trafficked from the United States into Mexico or Central America, legally or not; little mention of the fact that the consumption of drugs in the United States is what fundamentally fuels drug trafficking in the continent. The children who cross Mexico and arrive at the U.S. border are not “immigrants,” not “illegals,” not merely “undocumented minors.” Those children are refugees of a war, and, as such, they should all have the right to asylum. But not all of them have it. Tell me how it ends, Mamma, my daughter asks me. Tell me what happens next. I don’t know how it ends yet. It is very possible that our policies in the United States and our actions as citizens will determine how these stories end. Which is a sobering thought. Highly recommended reading. It’s not pleasant reading, but it is eye-opening and thought-provoking. Candlewick Press, 2017. 28 pages. I just read this book in a storytime, along with three other picture books I personally like better – and this book was far and away the kids’ favorite. I decided to review it after all! Little Wolf is going with his father Big Wolf up to the top of the hill to howl the full moon up to the top of the sky. Big Wolf demonstrates how it should be done. Big Wolf explains that Little Wolf was off to a good start, but his finish was not proper howling form. He demonstrates again. After Little Wolf’s third attempt, Big Wolf can’t resist – and jumps in with his own jazzy howling. The children at storytime simply loved demonstrating the proper way to howl with Big Wolf. I think it would be a whole lot of fun to take this book home. It wouldn’t be long before a child would learn all of Little Wolf’s jazzy variations. The lovely pictures make it look like a serious book about wolves. Kids are delighted with the surprise twist. 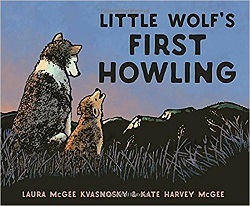 This book reminds me of Froodle, but with wolves instead of birds, and some nice father-child interaction. I like that Big Wolf eventually is willing to be jazzy, too. You are currently browsing the Sonderbooks blog archives for August, 2017.